My parents, Vince and Mary Herring, had been married for a year when they announced they were going to have a baby. Complications arose, and in 1969, when babies were born three months early, their chance of survival was slim. They never were able to change her diaper, rock her to sleep or kiss her forehead good night as she slept. The doctors also advised that attempting to have a child by birth would be next to impossible. In 1970, they decided to look in to foster parenting. In June of that year, they received a phone call letting them know there was a baby ready for fostering, but rather than fostering, would they be interested in adopting? I am not sure there was much discussion before they said, “yes!” That baby they adopted was me. I have known I was adopted as far back as I can remember, and as I grew up, I came to cherish the concept even more. My dad always said, “You weren’t expected, you were selected.” It made me feel pretty darn special. In 1988, I made the decision to create a loving adoption plan for my first-born daughter. At that moment, the most amazing (and I thought glamorous) woman entered my life. She held my hand through this entire adoption process and became my rock for the next 10 years. 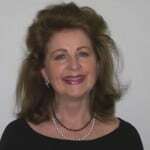 Her name is Valerie Strauss Cunningham, of Catholic Charities. Valerie has been with Catholic Charities for 39 years. For a number of years, she provided direct service with the Pregnancy, Parenting and Adoption Program, but for the past 22 years, she has been the director of the program. Many times the negative of adoption is up front and center, but if you listen, you will see that the positives far outweigh the negatives. My child found me about seven years ago, and is now a part of our family. My birth parents located me as well, and I discovered I have two sisters! The only difficult part of all of this? Trying to draw a family tree! My daughter, Lindsey, made the selfless decision when she was not ready to raise a child. This decision gave my own sister and her husband the chance to have a family they could not have had otherwise. Edith is very much part of all our lives and already knows how she came to be with Kendra and Aaron is pretty special. I should add that my parents went against doctors’ warnings and proceeded to have my younger sister, Kendra, two years after adopting me, and my amazing brother, Kyle, was born seven years later.